Weather will be warm and dry, around 25°C with a southwesterly wind of around 18km/h. 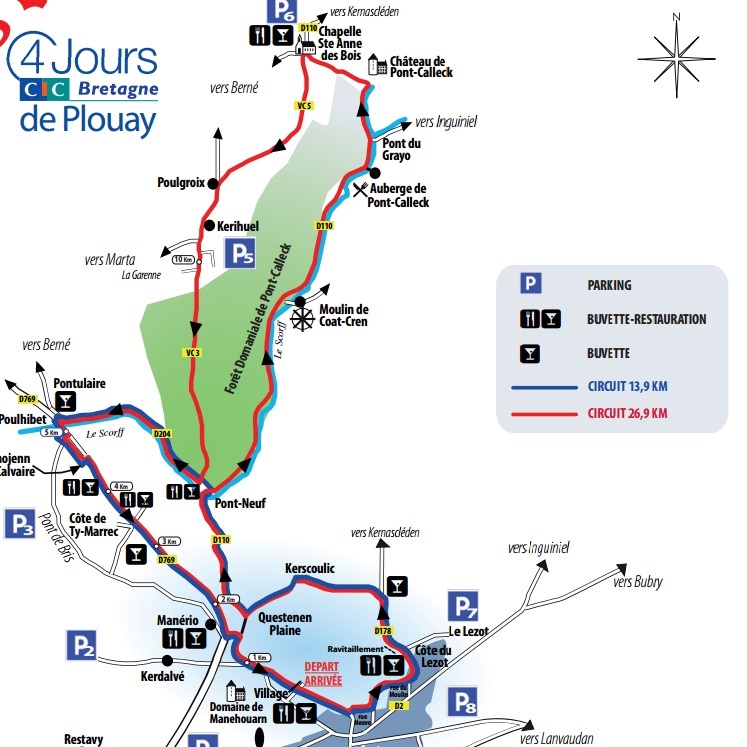 The race will be 4 laps of the entire circuit, taking in the climbs at 1km (4 to 5% for 1km), 8km (an almost 8km climb starting at 2% and rising to 9%) and at 22km (a steep 1.5km averaging 10%). The 5th and final lap is a shorter circuit taking in the first and last of these climbs. Boels Dolmans start with the defending winner (Armitstead) and the runaway leader of the WT ranking (Guarnier). They bring Stevens to make up a trio who can all take this one. Harris, Canuel and Pawlowska complete their line up, and let’s face it these three could as well so long as DS Danny Stam is on the radio. Wiggle H5 in contrast have 4 riders, so it looks as if Cordon Ragot, Bronzini and Christian will be keeping Longo Borghini safe as they let the other teams do all the attacking and pulling. RaboLiv have two former winners in Vos and Brand. Niewiadoma has the world tour youth classification sewn up, but seems to have petered out this season (perhaps because of uncertainty over the future of the team). Gillow, Knetemann and Korevaar complete their line up. Orica AIS bring Spratt and Garfoot, supported by Crooks, Allen, Neylan and Wiles. Canyon SRAM have Amialiusik and Cecchini, with H Barnes, Cromwell and Ryan. Cervolo Bigla are in great shape at the moment, with their eye on the Worlds TTT title. Moolman Pasio and Lepisto are supported by Pilote-Fortin, Numainville, Koppenburg and Hanselmann. Liv Plantur have Kirchmann and Markus with Slik, Stijns, Taylor and Weaver. Ale Cipollini bring the big guns of Bastianelli, Jasinska, Santesteban and Fahlin with Trevisi and Muccioli. Cylance might surprise with Rosella Ratto, the succession of climbs ripe for one of her breakaways. Lensworld Zannata Etixx bring two Italians, Confalonieri and Arzuffi. Parkhotel Valkenburg have van den Bos (who will move to second place after Niewiadoma in the WT youth ranking as Mackaij is absent from the Liv Plantur line up). PC Futuroscope 86 were pushed off the GC podium at the last moment at the Trophee D’or this week. Much of the same team is here, with Duval and new signing Yonamine. Lotto Soudal Ladies are likely to bother the podium with Lichetenberg, de Vuyst and Delzenne all in good form. BePink have Albrecht, BTC City Ljubljana bring a strong line up with Bujak, Plicta and Pintar. Drops have A Barnes and van Twisk, and Bizkaia Durango are with Garcia. The young riders of Lointek along with Weber Shimano Ladies Power, Top Girls Fassa Bortolo and the national teams of France and Japan complete the start list. Think I’ll go with Longo Borghini vs Guarnier, with Ratto as a possible surprise.